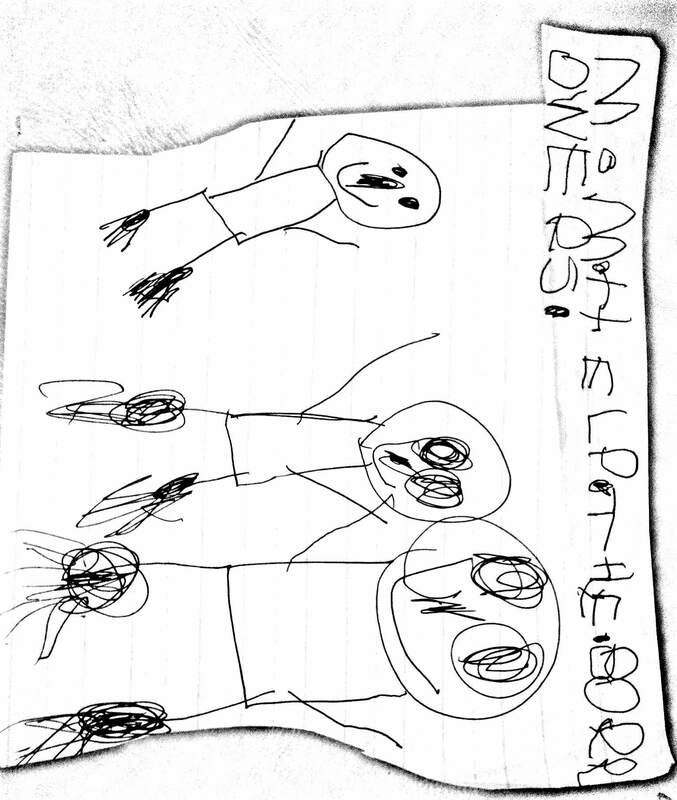 Several months ago, my husband and I were under the impression that The Five-Year-Old would enjoy seeing movies out in the world. So we took her to see The Secret World of Arrietty, Hiromasa Yonebayashi‘s film adaptation of Mary Norton’s 1952 novel The Borrowers. The trip was not a success, and we ended up leaving halfway through. For those of you who haven’t seen either the film or read the books, the Borrowers are 4 to 6-inch high folks who live in the walls, under the floors, and over the mantelpieces of human homes. Mary Norton’s original story focuses on the Clock family — Pod, Homily, and Arrietty — who live under the kitchen floor of Great Aunt Sophie’s house. The Clocks are completely dependent upon the “human beans” in Great Aunt Sophie’s household for their daily needs. Pod goes out on foraging trips at night, braving the hazards of cats, ferrets, and sharp-eyed sleepless children, to bring back the bits and pieces from which the Clocks construct their lives. A cube of sugar and a pinch of tea can provide the family with enough tea to fill their acorn cups for weeks. A hat pin does double duty as a climbing tool and a handy weapon for fending off curious cats and hungry ferrets. A matchbox serves as a chair, the side of a shoebox partitions a room, stamps decorate the walls, and a discarded glove becomes a pair of bloomers. The inventiveness of the Borrowers in recycling the discarded oddments of the human bean household is nearly as engaging as the storyline itself. Trouble begins when a visiting boy spots first Pod, and then Arrietty herself. I won’t go into detail, but I will say that what was too frightening to witness on screen is apparently significantly less terrifying to hear one chapter at a time just before going to bed. Amazon lists Mary Norton’s five-book Borrowersseries as being suitable for readers Age 9 and up. Having read three of them with The Five-Year-Old now, I can’t decide whether I really agree with that. The Five-Year-Old loves this series. Whenever she loses something, she gets very excited about the possibility that the Borrowers might have taken it. The night we read the chapters concerning the very grave trouble the Clock family gets into near the end of the first book (but before we read the resolution), she peppered the house with signs pleading for me to do something about it. One of many signs The Five-Year-Old plastered about the house in her campaign to get me to allow Pod, Homily, and Arrietty to move in. Although the characters and the storyline clearly appeal, I can see an argument for the text itself being more suited for an older audience. The vocabulary is a bit over The Five-Year-Old’s head. Most of the time I don’t mind halting in the midst of a paragraph to define a word, but when the story really gets going, I’ve been known to simply substitute a simpler word to avoid the question all together. The more difficult vocabulary makes The Borrowers series a bit more challenging to read out loud than Mr. Popper’s Penguins or E.B. White’s The Trumpet of the Swan, but the storyline is every bit as engaging. And that’s enough to keep us both looking forward to each night’s installment. 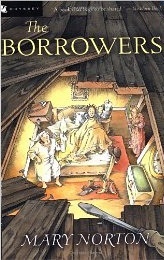 Have you read any of the Borrowers books (or seen the film)? If so, what did you think?